When arriving in Australia you will have to pay for public transport to where ever you are intending to stay. There are buses and taxi's available from most Australian airports. licence for a short time. There are many public transport options throughout Australia, these are available to help commuters get around a city, suburbs or interstate. All international students are eligible for student concessions, which means for a more affordable journey. 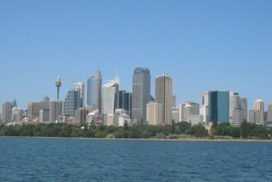 There are many Bus, Ferry, Train (metro light rail and monorail), options available throughout the Sydney metropolitan area. This web site will help direct passengers to either different transport web site and can also provide contact numbers and time tables. Transport throughout Melbourne is done through the purchase of a met card this can be purchased at any train station or on buses and trams. Public transport throughout Melbourne is very frequent with many options available including Trains, Trams and Bus services. Train services start at 5 am and finish at mid night. To find out more about transport in Melbourne or to find a time table visit metlinkmelbourne. Beautiful Brisbane has many Ferry, Bus and Train services available to take commuters throughout the city, suburbs and even down to the Gold Coast. For time tables or further information on the public transport options in Brisbane visit transinfo. Perth is a smaller city which covers a larger area to help commuters get around this area there are Bus, Train and Ferry services available. Throughout the CBD area all public transport is free, a small fee is charged out side of the CBD and tickets can be purchased either at Train Stations or on buses. Adelaide has public transport options available for all commuters, these help passengers to either travel through the city, suburbs or the rest of the state. There are many bus and train services available on a regular basis. Visit tourtub, here passengers will find time tables and fare information for local bus services. If there are no bus services in the passengers area then there are two different taxi services available, Arafura Shuttle and Unique Minibus. For information on bus services throughout the Hobart CBD and outer suburbs visit metrotas. Canberra also has frequent bus services throughout the CBD and suburban areas. While public transport is a safe travel option in Australia, it is important to practise common sense. Always keep bags and personal belongings close to you, as well as ensuring all bags are tightly closed. As well as being aware of passengers around you and of your surroundings. Late at night public transport may not be the safest option, if by yourself call a taxi. All buses and train stations are fitted with camera, as well as having guards available on most services. There are many options available for travelling interstate. There are domestic flights as well as regional flights available. Bus services run both interstate and to regional areas. Train services run throughout the country. These options will vary in price, when a student travels either by train or bus however then they can use their student concession card to help get a discounted fare. If choosing to purchase a car whilst in Australia, it is important to make sure the student has a valid drivers licence and can legally drive in Australia. There are many options available from used car yards to private sellers, all of these advertise regularly on the internet and in local papers. Ensure a care is road worthy and safe before purchasing it. There are many good second hand cars available for under AU $10,000, however think of additional expenses such as petrol, insurance and maintenance before making a purchase. Also make sure the driver understands all Australian road rules in cluding speed limits, alcohol limits and of course regulations on wearing a seat belt before jumping behind the wheel. 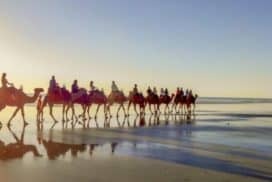 There are plenty of exciting things to do and see in Australia. However, Australia is a very large country, so you will need to be acquainted with the different types of transports available. Rest assured that Australia has one of the most advanced public transport systems in the world. In fact, its public transport system is comparably safe, fast and affordable. Depending where you live, you have a variety of public transport options including trains, trams, ferries and buses. To use the public transport system, you’ll need to purchase tickets at a newsagency, train station, ferry wharves, or as you board a buses or trams. There are even some instances where you can travel for free! Also, as an international student you might be eligible for travel concessions in some states. Just ask your institution if you qualify. 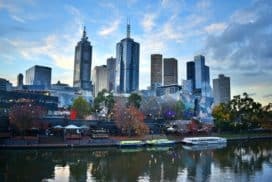 Melbourne is one of Australia’s largest cities. It considered Australia’s Arts capital. It’s a wonderful place to study, as it features great amenities, large city libraries, beautiful spacious public gardens, a lively night-life and grand examples of Victorian architecture. With regards to public transport, it offers a great mix. By purchasing a Metcard, you may travel on all of Melbourne’s public transport links including bus, train and tram services. Bus: For suburbs near Melbourne city, buses are the popular way to travel. You’ll find they are handy when traveling to places such as universities, hospitals, suburban shopping centres and suburbs not serviced by other transport options. Train: Trains a standard way to travel in Melbourne; it’s also a fast transport option. Indeed, Melbourne’s suburban trains travel to the outer suburbs of Melbourne and Victoria, as trams and buses don’t venture into Melbourne’s outer skirt suburbs. Also, the main city station in Melbourne is Flinders Street Station. During the week, you can catch a train from this central city station from 5am to midnight. Tram: Looking for a scenic way to travel through Melbourne? Then take Melbourne’s tram service. This unique travel method covers most parts of the city and inner suburbs. It is simply a delightful and fun way to see the city sights. There’s also a ‘light rail’ service to some suburbs. A helpful hint when using the tram line is to look out for cars when getting off the tram (as the tram rail and car lanes overlap at certain sections). Sydney is a cosmopolitan city. It hosted the world Olympic Games in 2000. 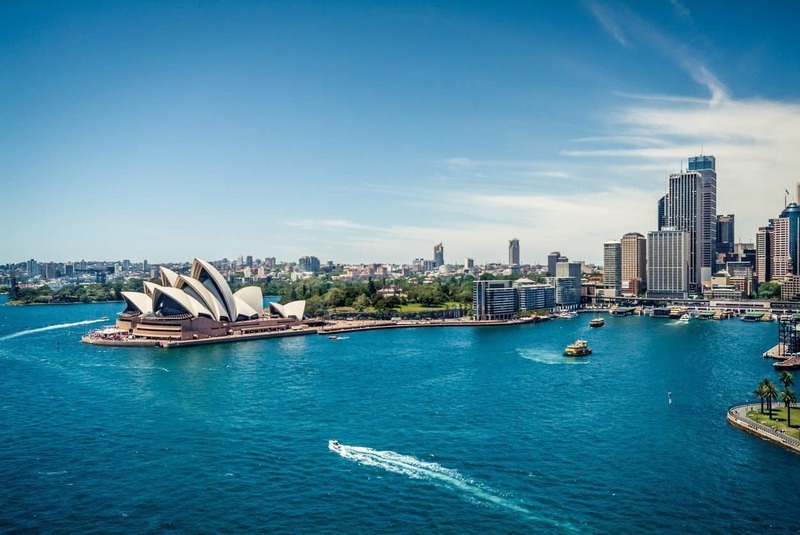 Famous for its Opera House, Harbour, beautiful white sandy beaches and temperate climate, Sydney is favourite destination for many international students. You can go sight-seeing around town and the coastal shores on one the city’s state-run tourist buses which weave along some of the best parts of this international city. For more information on Sydney’s buses, ferries and trains, just call 131500.Bus: If you plan to study in Sydney as an international student, you’ll more than likely be using Sydney’s bus network to travel. This public service extends to most suburbs and is highly reliable. If you board the bus within the city, you will need to buy a prepaid bus ticket before you board the bus. The fare cost will depend on the number of ‘sections’ you travel through. However, by purchasing a weekly pass, you can save money! Train: If you need to travel outside the city centre of Sydney, you’ll most probably travel by train. The city has a vast suburban rail network that offers reliable and frequent services. For long distance journeys, trains are a much faster travel option than buses. Sydney trains operate from about 5am to midnight. Ferry: Sailing on Sydney’s world famous Harbour is a must. However, if you’re not into yachting, why not take a Sydney ferry to look at its beautiful foreshores? Indeed, one of the more pleasurable modes of transport in Sydney is via Sydney’s ferries. You can cruise the harbour and enjoy the sights as you travel to your education facility. Typically, there are three kinds of ferries: the regular STA ferries, the fast and fun JetCats (from Manly) and the leisurely RiverCats that cruise from the city centre’s Circular Quay wharves (pronounced “Circular Key”) up the Parramatta River to Parramatta. Metro Light Rail & Monorail: Sydney’s Starcity Casino, Darling Harbour, Imax Theatre. Entertainment Centre, Paddy’s Market, Central Station and city centre can all be accessed by the Metro Light Rail and Monorail. (i.e. The Monorail circles Darling Harbour and connects it to the city centre. The MLR operates a 24-hour service between Central Station and Pyrmont via Darling Harbour and Chinatown). Brisbane is the capital city of the state of Queensland (which is Australia’s world renowned holiday state). It enjoys warm weather (nearly) all year round. For sun lovers, this city’s an ideal place to study for students arriving from a colder climate and seeking tropical weather conditions. 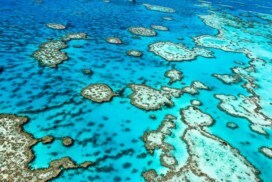 It also places you on the doorstep of some of Australia’s most pristine and world heritage listed sites (like the Daintree Rainforest and The Great Barrier Reef). However, despite its proximity to Australia’s natural treasures, Brisbane city is large and modern. You’ll find a good public network of bus, train and ferry routes to most suburbs. Boat: Brisbane’s CityCat catamarans are a great way to travel. They are fast, reliable and run every 20 to 30 minutes (between 5.00am and 10:30pm) from the University of Queensland in the southwest to Bretts Wharf in the northeast. Another useful option is the Inner City Ferries. They operate a service between North Quay near Victoria Bridge (pronounced “North Key”) and Mowbray Park. Bus: One of the benefits of living in Brisbane is “The Loop”. It’s a free bus service that circles the entire city area. It runs every 10 minutes during the week between 7am and 6pm. Other bus services run every 10 to 20 minutes during business days from 5am till about 6pm. Most services operate until midnight. Train: If you intend travelling beyond the city of Brisbane, you should take the train. The Citytrain is a fast way to travel to the outer suburbs of Brisbane. 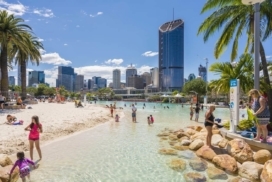 It connects suburbs as far as Gympie North (in the Sunshine Coast) to Nerang and Robina in the south (located in the world famous holiday coastal region called the Gold Coast). All trains operate from the Roma Street, Central and Brunswick Street stations. To travel around Perth, Transperth operates the city’s public buses, trains and ferries network. A single ticket allows travel on all forms of transport. If you intend to study in Perth, you’ll be located in Australia’s booming development region. In recent years, it has become one of Australia’s premier destinations for international students. Located in Western Australia, this city is surrounded by popular wine regions and wild dolphin tourist attractions. Train: Perth’s train system is called Fastrak. Its suburban train lines link the suburbs of Fremantle, Armadale, Midland and Joondalup. An added benefit of living in Perth is its free train service that operates between Claisebrook and City West train stations. You can catch all these trains from Perth’s train station which is located on Wellington Street. Bus: Another free public transport service offered in Perth is The CAT. It allows you to travel throughout the city centre of Perth. It’s operational between 6:50am to 6:20pm on weekdays; it’s a great way to see the delightful sights of Perth. Boat: Perth ferries operate every half-hour from 7am to 7pm daily from the Barrack Street Jetty to the Zoo. (If you have time, be sure to check out Perth’s Zoo as it houses many of Australia’s unique wildlife). vel, including: buses, trains and the Glenelg tram. Just contact the Adelaide Metro Information Centre for timetables. It also sells tickets for the integrated metropolitan. Bus: The bus service in Adelaide is called “The Bee Line”. It travels in a loop from the Glenelg tram terminus at Victoria Square to the University of South Australia’s city west campus. There is also “The City Loop” service. This service is a great way to see the city. Both the Bee Line and City Loop buses are free! Train: If you need to travel beyond Adelaide city, the suburban train network connects most outlaying suburbs from Adelaide’s Railway Terminal (located near Adelaide casino). Darwin is an inspiring city. 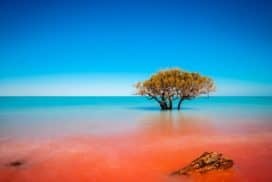 It is the capital of the Northern Territory; the doorway to Australia’s monsoon region, spectacular rock formations and ranges. If you want to immerse yourself in the 40,000 year old “Dreamtime” culture of Australia’s traditional owners, then this your ideal place to study! Bus: The main mode of transport in Darwin is the Darwinbus service. The City Bus Interchange is located on Harry Chan Avenue. It offers a comprehensive service from the small depot. There is also the Tour Tub minibus tours which allows visitors to see Darwin’s unique and beautiful natural sights throughout the day. You can jump on and off the bus along the way. Taxi: Taxis are another method of transport in Darwin. You can catch a standard taxi sedan or there are two taxi bus services: the Arafura Shuttle and Unique Minibus. Hobart is the city capital of Tasmania. This island state is located in the Southern most tip of Australia. This region has a diverse and rich social and architectural history. It also is home to stunning mountain ranges (including some world famous trekking routes). Bus: The Metro operates a good local bus network. For more transport information, visit the information desk inside the main post office (located on the corner of Elizabeth and Macquarie Street). Fare prices for The Metro will depend on the distance you travel. Canberra: Canberra is the capital of Australia. It is where the political hub of Australia converges. It’s located half-way between Melbourne and Sydney. It also features a plethora of Museums and Art galleries which showcase Australian arts and international exhibitions. Bus: The public transport provider in Canberra is called ACT Internal Omnibus Network (ACTION). You can find its Civic Bus Interchanges along the following streets: Alinga Street, East Row and Mort Street in the city centre. Just visit their information kiosk (East Row) for free route maps and timetables. Traveling in Australia is a relatively easy and stress-free affair in Australia for the international student. Indeed, Australia’s public transport is comparatively safe and low-cost. However, you should still exercise vigilance, care and caution as you would at home when using public transport. For example, remember to do things like keep your bag close to you to prevent theft. Be aware where your valuables, such as your wallet, mobile phone or iPod are at all times and keep them out of sight from thieves. Also, if you’re traveling at night, try to sit as close as possible to the driver. Be alert to your surroundings and aware of your fellow passengers. If you find yourself uncomfortable or threatened in any way, tell the driver. Another good travel tip is to avoid staying around train stations or bus stations at night. If you must use public transport at night, exercise commonsense. Try to arrive right before the train or bus to minimise your waiting time and avoid potential trouble. When it comes to using taxis, this is usually a very safe way of getting home late at night. However, you still need to exercise caution with your safety and keep alert. If you intend to travel across Australia, there are a number of ways. Be mindful that Australia is a very large country. It takes over 13 hours to travel from Sydney to Melbourne by Bus. So, it might be a good idea to think about flying to your destination for interstate travel. In fact, there are a few low-cost airlines that regularly offer airfares that are cheaper than bus travel. Moreover, it might be wise to examine their websites first before purchasing a bus ticket. If you want travel very large distances in Australia, flying is the best option. Australia has two major airlines: Qantas and Virgin Blue. You can fly with them between all capital cities and selected regional centres. Also, you can book tickets through a travel agent, via the airline’s website or over the phone. If you can, it’s best to consider as many airlines and travel dates as possible so you get a cheaper flight. If you do your research before you book, you might find a great deal. For example, Australia has several regional airline carriers that offer frequent travel deals, including: Jetstar (a low-cost airline affiliated with Qantas); Tiger Airways (which fly to most Australian capitals and some regional cities); and REX airline (which carries passengers to mostly regional areas in New South Wales, Victoria and South Australia). A good option if you choose to travel outside the city you live in is getting a train. You can find a comprehensive list of train services, fares and timetables at www.railaustralia.com.au. Also, for a list of bus operators (and their destinations) operating within Australia visit to www.buslines.com.au. Compulsory third party insurance (this covers damage to other person’s property if you have an accident). It is also wise to take out a comprehensive insurance policy which will cover the cost of damage to your own vehicle. The cost of a comprehensive insurance policy will depend on your driving record, age as well as the type of car you own. Note that if you’re in Australia for a period of no more than three months, you can drive with your international driver’s licence (or a valid overseas driver’s licence). If you decide to use your own driver’s licence, you’ll be legally obligated to carry a translation of your document if it’s not in English. Otherwise, if you’re planning to stay longer than three months, you’ll need an Australian driver’s licence. To obtain this document, you’ll be required to take a test on highway codes, rules and regulations. You’ll need to speak to the RTA in Australia (Road and Traffic Authority) for this licence. They have offices throughout Australia. The public transport system in Australia can be relied upon for most of your commuting requirements. The type of transport available will vary depending on the city: in Melbourne you can ride the train, tram or bus; in Sydney you can also cross the harbour on ferry, or the city on monorail. Travel tickets are widely available through newsagents, convenience stores and transport stations, and are reasonably affordable. Depending on the state, international students may be eligible for travel concessions. Your institution will be able to advise whether or not this is the case. Interstate travel can be made by road or train; however bear in mind that the great distance can make for a lengthy journey. Airline travel, while more expensive, is the most popular mode of interstate transport. Australia’s public transport system is generally safe, and affordable. Travel concessions apply to concession card holders, which include international students. Concession cards are issued by your educational institution. Public transport includes buses, trains, trams, and ferries. Tickets can be purchased from newsagencies, train stations, ferry wharves, onboard buses, and onboard buses, trains and trams. Sydney is Australia’s largest city, and has the largest network of train lines and bus routes, even a ferry. Sydney’s bus network extends throughout most metropolitan suburbs. The cost of your fare depends on how many sections your route passes through. There are three kinds of ferries available, regular STA ferries, fast JetCats that go to Manly and RiverCats that traverse the Parramatta River to Parramatta. The ferry system provides the most enjoyable way to travel around the harbour. Trains are the quicker alternative to buses, and the services run much more frequently. Trains start running at 5:00am and finish at midnight. The Metro Light Rail (or MLR) and Monorail are a good means of transport within the city centre. The monorail circles Darling Harbour and returns back to the city. The Metro Light Rail operates between Central Station and Pymont via Darling Harbour and Chinatown. The MLR operates 24 hours a day. If you need any information on the MLR or the Monorail, you can contact Metro Transport. Suburban trains are much faster than buses and trams, and reach the further outskirts of Melbourne’s suburbs. The main terminal is Flinders Street Station. Trains start operating at 5:00am and finish around midnight. Buses generally connect with trains and continue to the outer suburbs and areas where trains do not reach. Buses routes include shopping centres, hospitals, universities, schools etc. Melbourne’s tram network extends from the city to the inner suburbs. Tram stops are numbered from the city centre outwards. Be cautious of cars and other vehicles when alighting from trams. Any information on Brisbane’s bus, train and ferry systems you can contact Trans Info. Catamarans, known as the CityCat runs every 20 to 30 minutes between 5:30am and 10:30pm, from the University of Queensland in the south west of Brisbane, to Brett’s Wharf in the north east, and back. The Inner City Ferries also operate on the river between North Quay and Mowbray Park. The Loop is a free bus service which circles the city area. Buses run every 10 minutes on weekdays between 7am and 6pm. All other buses run approximately every 10 to 20 minutes, except on Sundays. During weekdays, buses start running from 5am to 6pm. On Saturdays, buses start running at 6am and finish at Midnight. Sundays they start running at 5am and finish at 7pm. Brisbane’s train network is called the Citytrain and extends from Gympie North in the north (or the Sunshine Coast), to Nerang and Robina in the South (also known as the Gold Coast). There are seven lines, and the main terminals are found on Central, Roma and Brunswick Stations. Transperth operates all the public transport in Perth. Passengers can travel anywhere on any form of transport with one ticket. Ferries travel from the zoo to the Barrack Street jetty. Ferries depart every half and hour, on the hour from 7am to 7pm daily. The CATbus free service loops the city centre area. Services start at 6:50am and finish at 6:20pm. Buses run less frequently on the weekends. Transperth also operate the Fastrak train services, running to Armadale, Fremantle, Midland, and Joondalup. The main train terminal leave from Perth train station at Wellington Street. Adelaide Metro runs Adelaide’s local public transport system. There are four train lines, a tram line and a network of bus routes throughout the suburban areas of Adelaide. The Bee line and Cityloop buses are free service, and run a loop around the local city areas. The Bee line runs from Victoria Square in the centre of the city, to the City West Campus of the University of South Australia. The Cityloop runs from the Central Markets to the train station on North Terrace. Buses run locally throughout the suburbs and liaise with trains at specific times. Local Metro Adelaide trains run every 15 minutes and operate from Adelaide station on North Terrace, to Noarlunga Centre, Outer Harbor, Gawler, or Belair. Tickets can be purchased on the trains themselves, or at newsagents or train stations. The local tram service runs from Moseley Square near Jetty Road Glenelg, all the way to the steps of UniSA, located on North Terrace. New trams have been recently issued, ensuring a comfortable, smooth ride. The Darwinbus runs from the Citybus interchange on Harry Chan Avenue, operates services all over Darwin. The Tour Tub is a minibus tour business that runs throughout the daytime. Taxi buses are a popular way to get around in Darwin. The two main bus services are Arafura Shuttle and Unique minibuses. All tickets are one way and the cost depends upon the distance traveled. The bus network is run by Metro. The main post office on the corner of Macquarie and Elizabeth Streets is the Metro information desk. Here you can find information on timetables and bus services. Canberra’s public transport provider is called the ACT Internal Omnibus Network (or ACTION). The main Civic bus interchange is along Alinga Street, East Row and Mort Street in the city centre. The information kiosk can be found on East Row. Visit the ACTION website for information on timetables and route maps. Whilst the crime rate in Australia is relatively low compared to other countries, you should exercise extreme caution when commuting on public transport. Keep your bag close to you and never leave it on the ground near your feet. Hold it on your lap. Keep your valuables such as your iPod, wallet, mobile phone, sun glasses, jewelery etc out of sight. If you are traveling at night, sit as close to the driver as possible. If trouble arises the driver can assist you. Take note of the passengers around you. You may have to give a description to the police at a later time. Try to avoid waiting for trains or buses at stations and terminals. Try to arrive just before the train or bus departs to minimize the amount of time waiting. Some taxis and buses connect with trains at terminals. All train stations and bus terminals have security cameras installed and are regularly patrolled by police and private security patrols. Australia is a large country, with a relatively low population. Most of Australia’s capital cities are located around the coastal areas, away from the vast open deserts. The distance traveled between cities is much greater than other continents, such as the small towns and villages of Europe. The most popular forms of transport are by bus, train, and airlines. Tickets can be purchased online through the travel company’s website, or at the terminal. The nation’s two largest major airlines are Qantas and Virgin Blue. Airplanes fly regularly between all major capital cities and many regional areas. Tickets can be purchased at a travel agent, either by phone, at the travel agent branch or online. Online you can also view the cost of fares and even check flight times before you book. Regional airlines such as Jetstar and Tiger Airways are a low-cost alternative to the major airlines, and still fly regularly between cities. Rex is another airline which carries passengers to mostly regional areas of New South Wales, Victoria and South Australia. Trains would be the cheaper option to take than airlines. To book a ticket, get in contact with Rail Australia, either by phone, at the train terminal or online. You can find a timetable and a list of fares on the website. Buses depart from terminals regularly to destinations all over Australia. To purchase a ticket you need to get in contact with the bus company. There is a long list of companies in each state. Choose wisely it could save you money if you shop around first before you book. Once you find accommodation, you may decide to purchase a vehicle to get around locally, such as a bicycle, car or motorcycle. A reasonable second-hand bicycle can be found cheap from around $200 to $500, depending on the quality and condition of the bicycle. Registration of a bicycle is not needed, but there are laws associated with riding a bike, such as wearing a helmet and lights front and back when riding at night time. If you purchase a car or motorcycle, you will be responsible for its maintenance, such as registration, fuel, repairs, insurance and mechanical services. Third party insurance is compulsory, which covers the costs of damage done to other cars and property if you are unfortunate enough to have an accident. More comprehensive insurance policies can be taken out, which can cover the cost of fire, theft or damage to your vehicle. The cost of these additional policies will depend on your age, driving record and type of vehicle that you own. If your stay in our country is less than three months, an international or overseas driver’s license can be used. It is compulsory to carry an English copy of this document with you when driving at all times. If your stay will be loner than three months you will have to apply for an Australian driver’s license. Seat belts are compulsory for drivers and passengers. For motorcycle riders and pillion passengers, a helmet is compulsory. Fines will be issued if you, or your passengers are caught not wearing either a seatbelt or a helmet. Drivers will also be fined if they are caught using a mobile phone whilst driving. If you need to make or receive a phone call during driving a vehicle, it is suggested that you use a hands free kit, or pull the vehicle over to the side of the road. The Australian road rules require everyone to drive on the left hand side of the road. Road rules and speed limits apply to all roads, and vary in speed from 25km/h to100km/h. If you are caught breaking the law, you will be pulled over by a police officer and an on-the-spot fine issued, or a fine will be sent to you in the mail. Infringements may result in a loss of license points. If you lose all points on your license, your license may become suspended, or disqualified. Driving under the influence of alcohol or illicit drugs is a serious offence, and you can possibly be fined or jailed. Random breath testing units and police patrol cars carry breath test units which measure the content of alcohol or drugs in your blood. Any questions on road rules, and licenses you can contact the Road Authority in your state or authority. The Australian government has been taking steps from time to time to ensure that international students get safe, affordable, and convenient living during their stay in the country. Cheap travel is one such offer. Here are some special facilities that have been introduced in the country so that foreign students can travel at a minimum expense in the country. 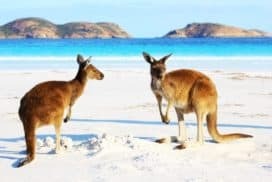 Cheapest Time of the Year for Flights – If you are looking for a suitable time to enter Australia, mid-April, June-end, and spring session during October and November would be the ideal ones as this time the flight tickets are the cheapest. Budget Student Flights – These discounted flights ply from popular destinations by top airlines. All you need is to keep a track of when the tickets being sold. Plying at certain days of the week can save some amount as well. Most students consider travel packages, such as group tour or all-inclusive travel deals. If you get Qantas coupons, you can easily save half the price of the regular fare. Student Travel Cards – While traveling in Australia, international students can get a student card that reduces transport cost. The card would cost around 25 Dollars a year but help in fetching useful student travel discounts while traveling in a train or a bus. Rail Cards – Apart from student card, international students can also get a rail card. Students traveling through Greyhound for instance, need to spend only 110 Dollars or so to travel long distances. Bus Cards – Many choose backpacker buses, for instance Oz Experience that are not only cost affective but also convenient. You can easily by a ticket at around 300 Dollars only for traveling in inter-city and intra-city buses. Campervan Rentals – Although campervans may not be the mode for transportation for a student studying in a city, it can be one for those pursuing outdoor education. Those taking up wildlife photography or research in the wild, often choose campervans as a means to travel. Affordable, convenient, and interesting, such rentals are much sought-after by youngsters today. Carpool Ride – A carpool is common way where several students make regular trips to their institutes and back. In fact, there are many travel forums which allow students to join in groups and then plan out a carpool ride. Make sure you check for references; get photo identity cards and credentials before finalizing such a trip. 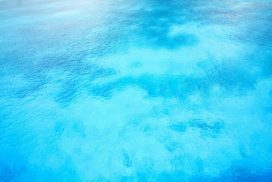 Work, Travel, and Learn -- Students looking for internship program in culinary or hospitality sector, often enroll as a part of the crew in a luxury yacht. A free travel trip, work experience, and learning are some of the incentives that smart international students can look forward to. Wwoofing may also ensure free travel for the students. Transporting Vehicles – There are rental companies which require drivers to take vehicles from one destination to another. You can look for ads offering such. If you are a driver and destination suits you, you can take a free ride. Travel Discounts – If you are lucky, you can get travel discounts that are meant just for international students. Many states in Australia, such as NSW for instance, offers a yearly zone 1 myki pass which reduces travel expenses by 35 percent. To know more on the latest low-cost transport initiatives taken by the government, check with us from time to time.